In a previous article, I reviewed the most important marketing skills based on the recently published research from The IDM and Smart Insights. In this follow-up I'll drill down to look at specific skills gaps. 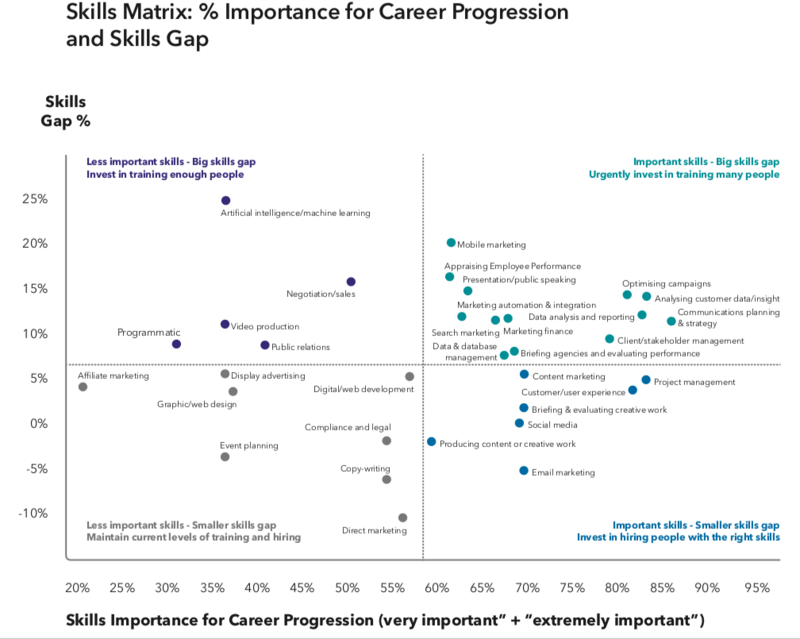 This first chart is helpful since it highlights the main categories of transferable generic skills which are most important to career progression. This is based on marketers who rated these as very or extremely important. 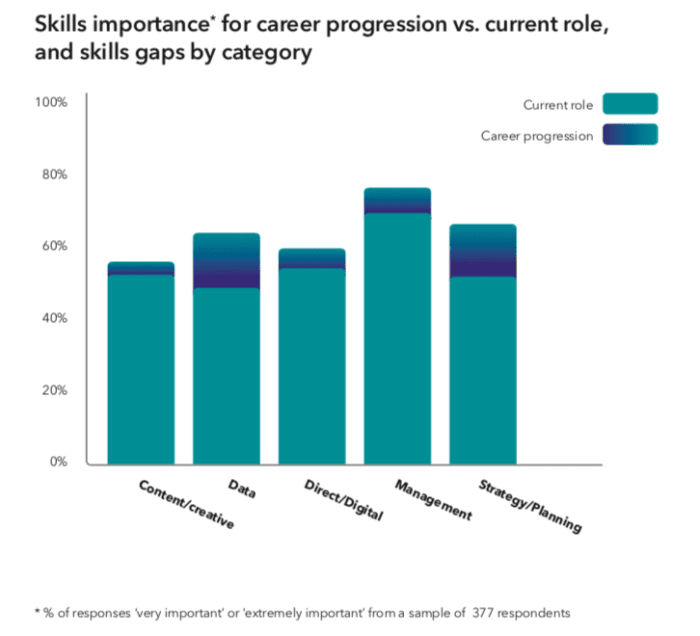 You can see that these include many of the skills topics that we focus on at Smart Insights include strategy and planning, data and insight and, of course, digital marketing. As we say, we look to help our members 'Plan, Manage and Optimize' their digital marketing. To review your skills gaps and get recommendations on how to plug those gaps, see the free Smart Insights Marketing Skills Assessment which creates a personalized learning plan if you take it. It's structured by the areas of the Smart Insights RACE planning framework.